China Trip: Shanghai: Pudong IFC & Oriental Pearl Tower 明珠塔 (Day 4) – Gonna continue back my travel post on Shanghai which I has stopped for a month ago. 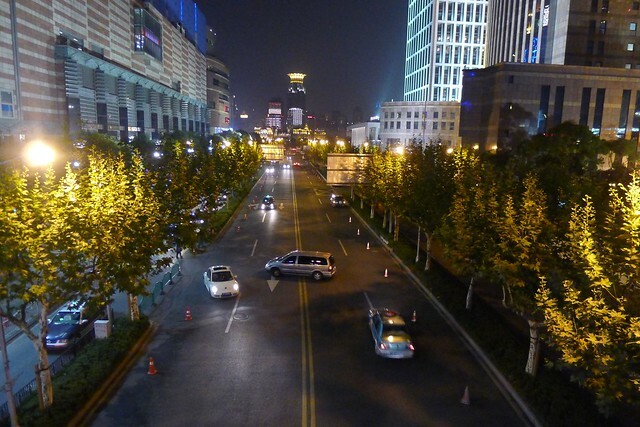 Now I want to bring you over to Pudong district to check out the famous IFC (International Financial Centre) and the not-to-be-missed Oriental Pearl Tower, a TV tower in Shanghai. 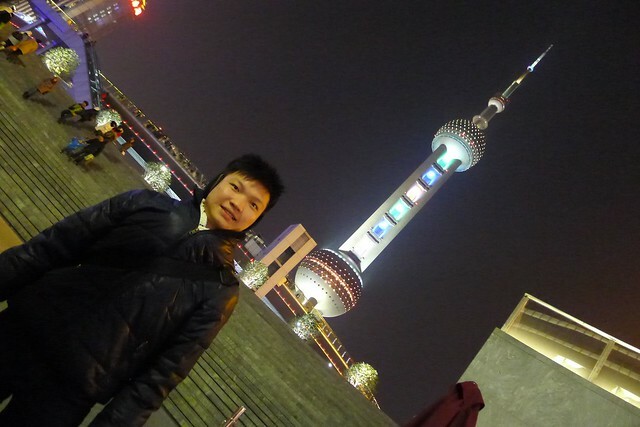 Brother below Oriental Pearl Tower. The magnificent TV tower with a super futuristic design. 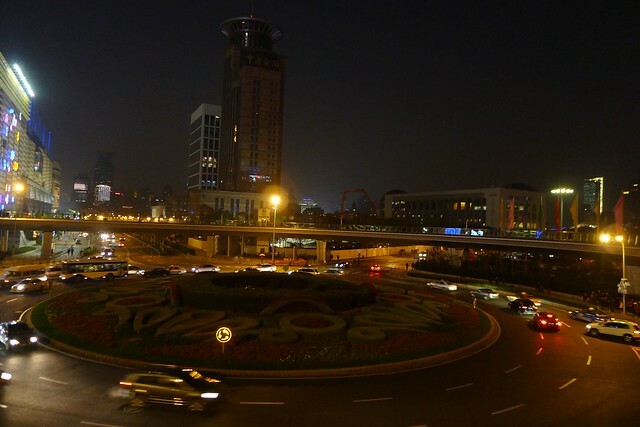 The huge roundabout with a circular skybridge connecting to all directions. Very cool! 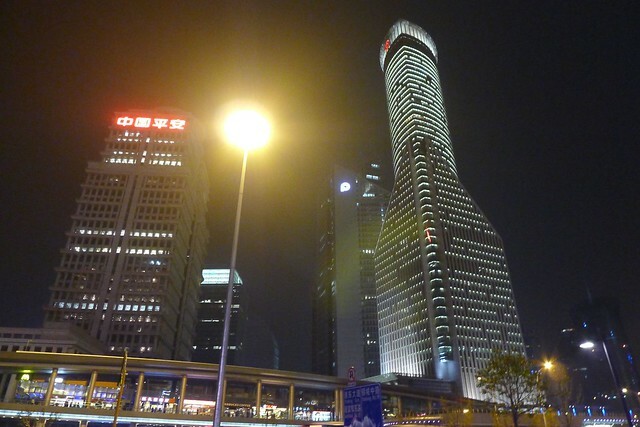 We took the Shanghai Metro from Huangpu to Pudong and once we got out of the station, we were under the huge round futuristic Oriental Pearl Tower. 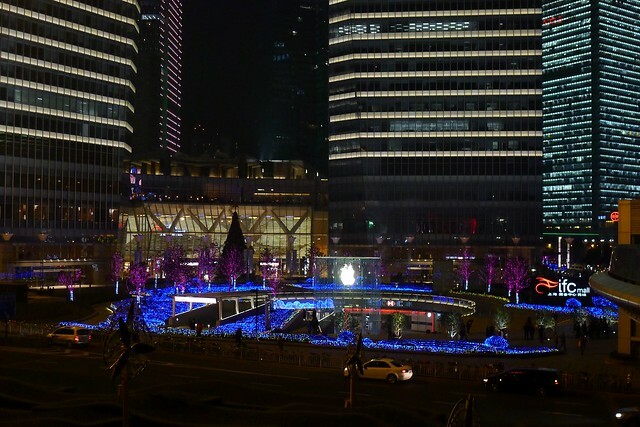 Our main destination is actually the Apple Store at Pudong, and also to check out the Oriental Pearl Tower. Can you spot Apple logo? 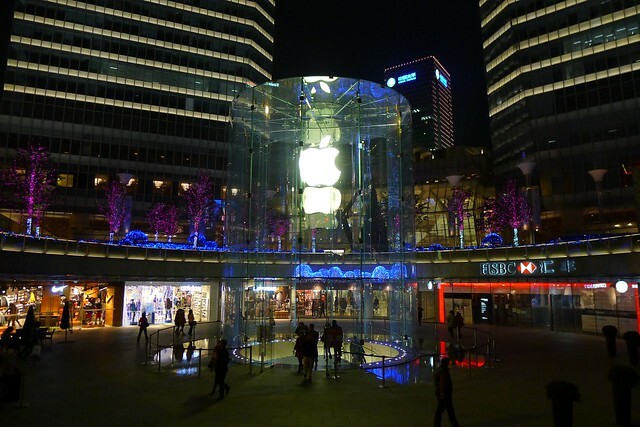 The Apple Store at Shanghai Pudong! 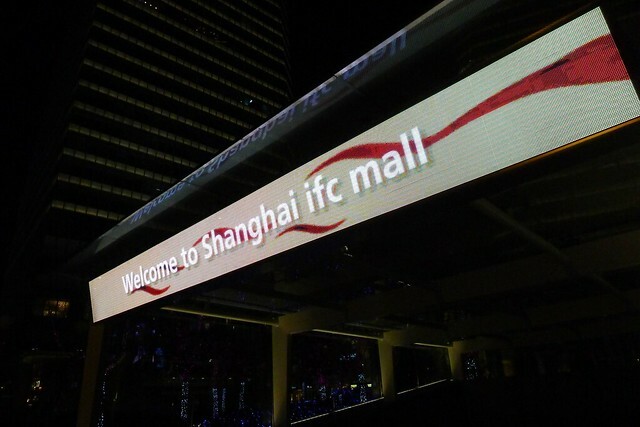 How about IFC? 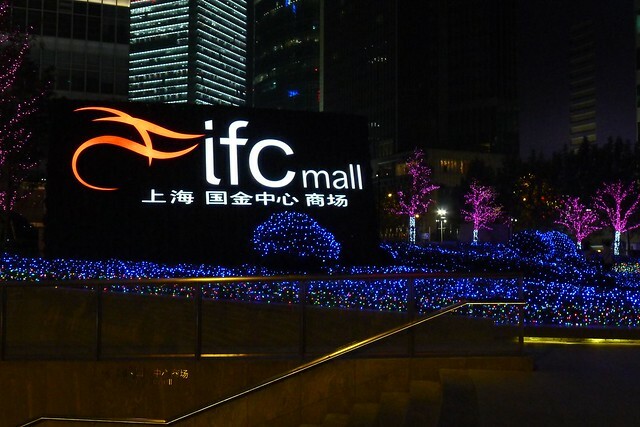 IFC is actually not the main point, but because of Apple Store is located in IFC, so we went to check out too. The architecture of the buildings are simply awesome, it locates the cool HSBC building too. 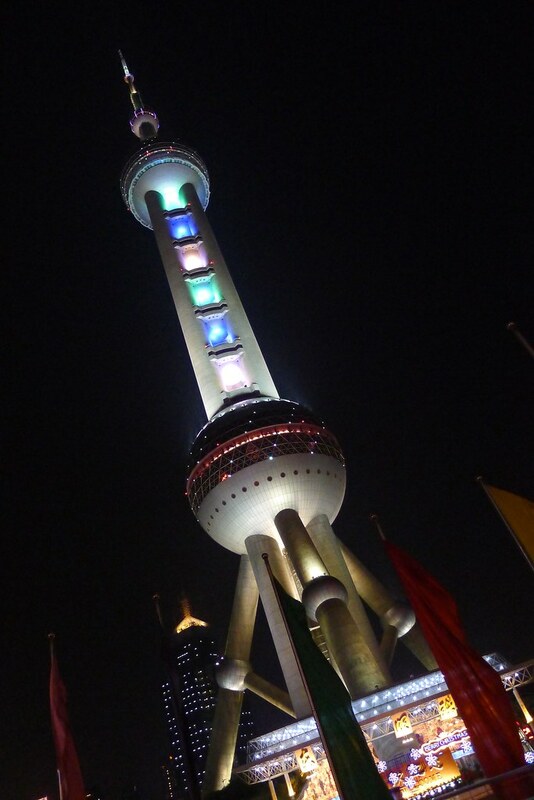 Brother and I did not go up to the viewing deck of Oriental Pearl Tower because we wanted to save cost (about 100RMB/pax). I think there’s nothing much to see on top except the Shanghai city. 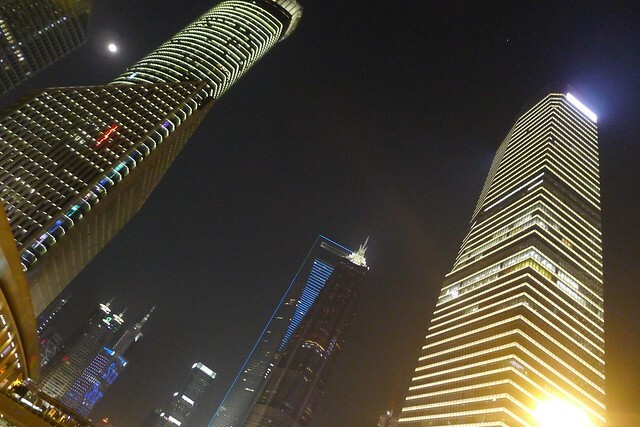 I feel it’s better to view Shanghai by the riverside instead of from tall.